SKU: N/A. 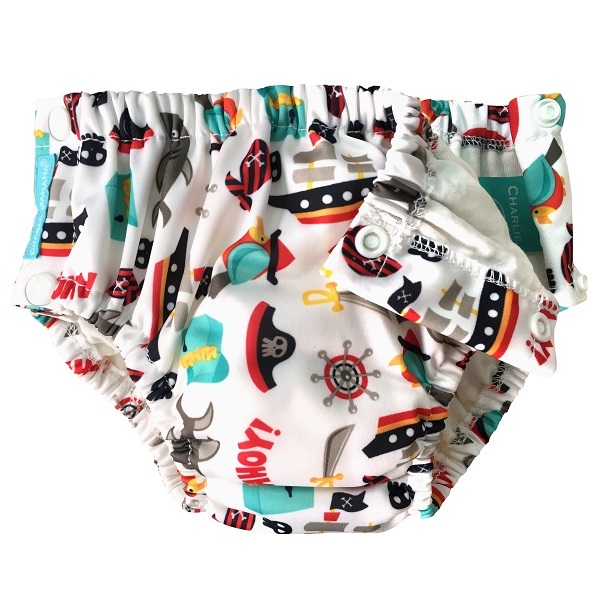 Categories: Charlie Banana, Real Nappy Week, Sale, Swim Nappies, Swim Nappies, Training Pants, Training Pants. 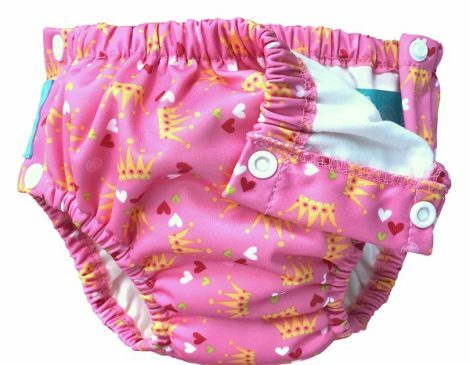 Tags: Charlie Banana, potty training, cloth nappies, swim nappy, training pant, travel. 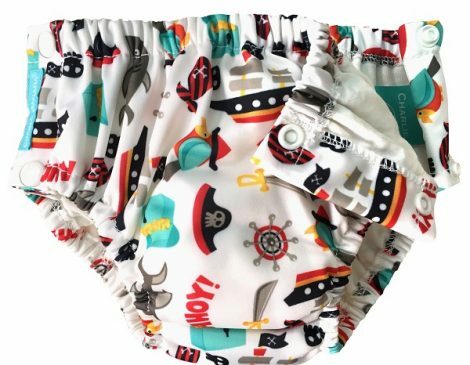 The 2-in-1 Charlie Banana Swim Nappy Training Pant has had a face lift and is now available in 2 new designs with snap sides for easy of changing! 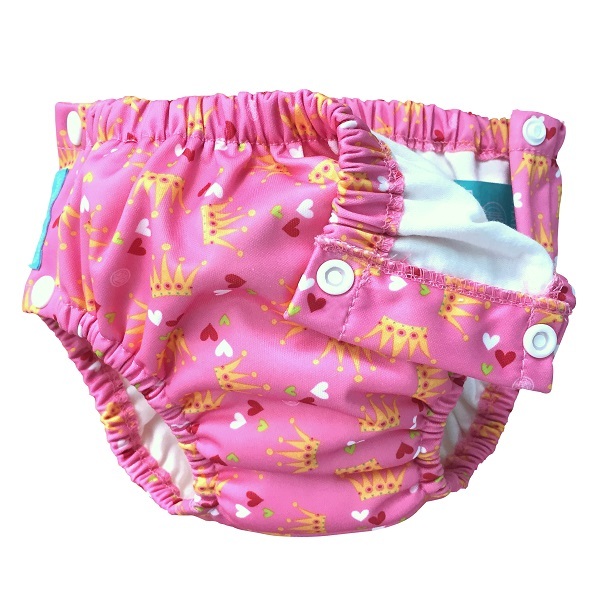 Made with the same waterproof outer and absorbent mini booster, the side snaps now make changing mess and fuss free. 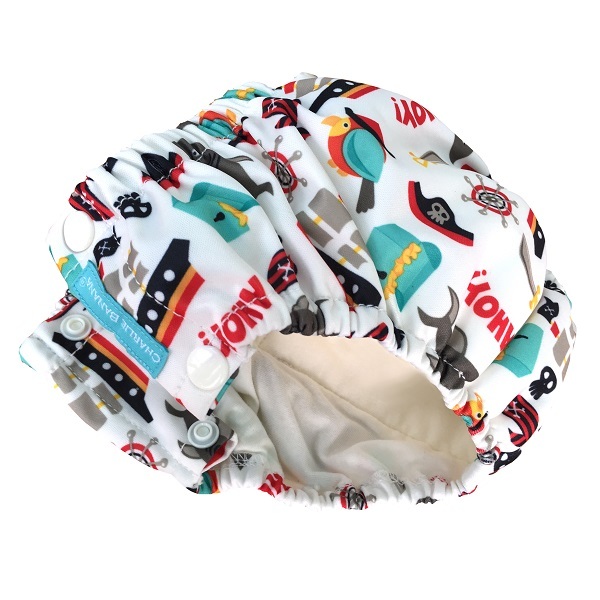 With soft and wide elastic to the waist and legs baby is kept snug and comfy without unnecessary restriction and keeps any accidents contained. 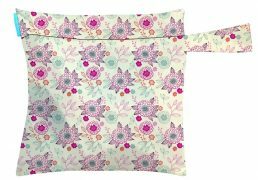 Organic Cotton has been added to the inside of the Charlie Banana 2-in-1 swim nappy gives extra softness and comfort to your baby or child. 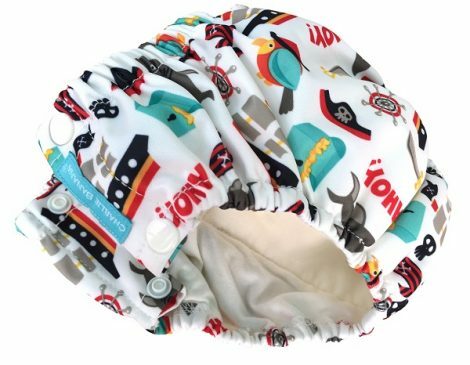 *Whilst the 2-in-1 swim nappy features a waterproof layer and absorbent core, this is not a nappy and does not have the capacity contain large accidents over long periods of time.